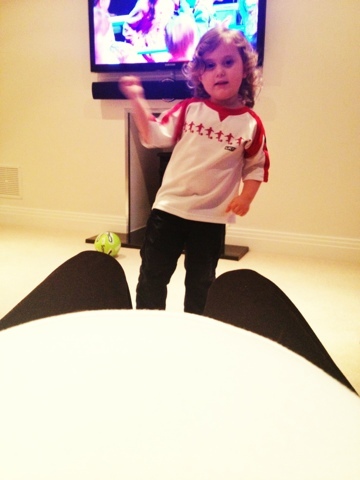 Ben entertaining me and my twin bump by dancing and singing for us today. Thanks , I've recently been looking for info approximately this subject for a while and yours is the best I've came upon till now. He is quite the little entertainer when he wants to be which is ever so funny to watch :).